A break from inflation to kick off the summer. The Labor Department (DOL) reports its Consumer Price Index (CPI was unchanged in June, thanks to a drop in energy costs and no movement in food prices. Over the last 12 months, the CPI is up 1.6%. The 1.6% decline in energy costs was spearheaded by a drop of 2.8% in the price of gasoline, following May's plunge of 6.4%. Electricity and natural gas costs were also lower, falling 0.6% and 0.2% respectively. Energy costs have risen 2.3% over the last year. Food prices held steady last month, with the food at home category -- grocery store prices -- down 0.1% and the cost of restaurant meals -- food away from home -- unchanged. Five of the six major grocery store food groups declined, with nonalcoholic beverages down 0.6%, and dairy & related products off 0.5%. Other food at home was down 0.3%, while cereals & bakery products, and fruits & vegetables both dipped 0.1%. Meats, poultry, fish & eggs, meanwhile, rose 0.6%, led by a 2.9% surge in the price of beef. Food costs are up 0.9% for the 12 months ended in June. 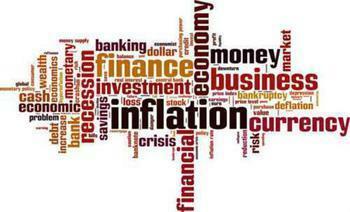 The “core” rate of inflation, excluding the volatile food and energy categories, was up 0.1% the third straight increase. Advances came in car insurance (+1.0%), medical care (+0.4%) -- the largest increase since last August, education (+0.3) and housing (+0.2). Declines were registered in airline fares (-2.7%), cell phone service (-0.9%), used cars and trucks (-0.7%) and new cars and trucks (-0.3%). Over the last 12 months, the core rate of inflation is up 1.7%.